Meritage Homes recently acquired a number of lots in The Legacy at Jordan Lake community, located in Northeast Chatham County. Meritage has just opened their first model in The Legacy at Jordan Lake and is offering a number of different floorplans to be built on the 1/2 - 3/4 acre lots. The Legacy at Jordan Lake is a sprawling community of custom home sites located just west of Jordan Lake, off Highway 64 and Big Woods Road. The rolling terrain, large homesites and impressive gated entry with large waterfall, are just some of the features of this community that make it a focal point in Chatham County. The recent 540 extension to Hwy 64 makes this community even more attractive to buyers looking for a quiet lifestyle close to RTP, RDU and Chapel Hill, NC. 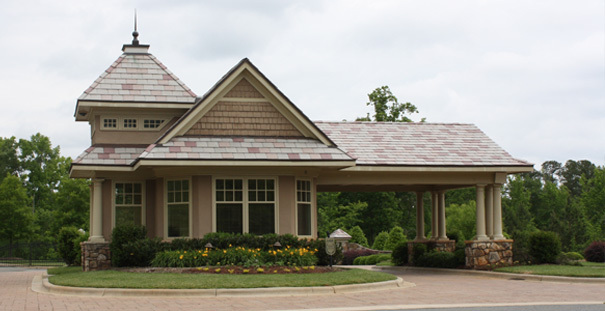 Meritage Homes entered the Raleigh/Durham market in early 2011 with their acquisition of Inwood Forest in South Raleigh. Meritage specializes in building energy-efficient homes and has already added The Legacy at Jordan lake to their website with information promised to be coming soon. For more information on The Legacy at Jordan Lake and Meritage Homes please contact me, Yvonne Beal, Realtor, at 919-599-9500. I specialize in selling Chatham County Homes and Land and would be happy to assist you with your next real estate investment.